Hygge. Funny-looking word, isn’t it? It’s been popping up in books and blogs everywhere for the past couple of winters. It comes from the Danes, and it’s a surefire way to survive the endless cold and darkness that descends on them in the winter months. 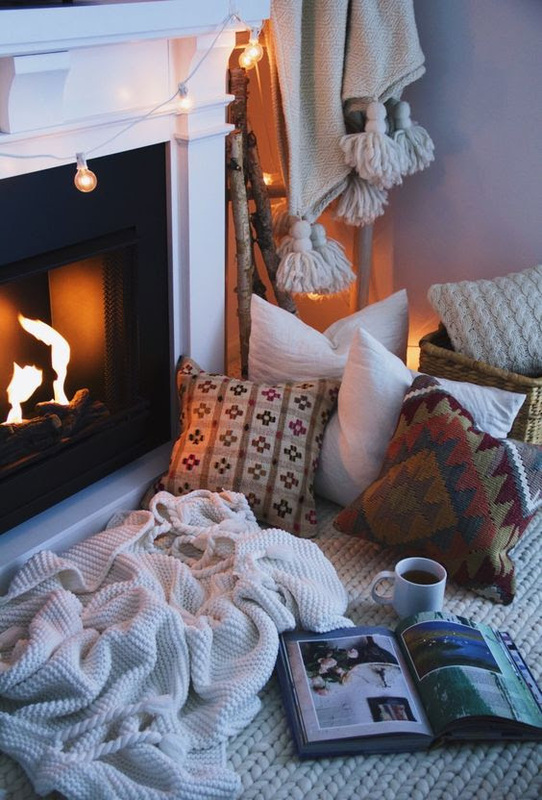 Hygge is one of those untranslatable words, but as best as I can glean, it’s something along the lines of focusing on simple pleasures that create coziness. When I first heard about it, I thought, that’s lovely for the Danes. So I tried it out. I started making little differences in my nighttime routine as the temperatures dropped. First it was candles every night while I got my Christmas cards together. Then choosing a book and a blanket over endless Netflix bingeing. I got the fireplace going a couple of nights ago. In the post-holiday sales all over the internet, I found a pair of pajamas I adored, and I bought two pairs. I live in them after 7 pm, and I love them. And then last night, I did it. I put my phone down. I unplugged. I left it out of reach, so that I couldn’t check Instagram or do a quick Facebook scroll. And I sat, in my jammies and slippers, reading a book I couldn’t put down, feeling like this was the best possible way to unwind at the end of the day. Morning routines get a lot of love. Everyone wants to offer the best, protein-packed breakfasts, and the most efficient ways to get out the door. After all, then you’re primed to tackle your to-do list for the day, no matter how many sun-filled hours you’ll see. Spending a little time working on my post-dinner, hygge time was such a valuable exercise. There’s no better way to unwind. I'm a Beta Zeta (go Terps! ), who loves cooking, baking, reading, list-making, and above all else, iced coffee. Welcome to The Sigma Kappa Blog! Our Sigma Kappa alumnae contribute articles on everything from DIY projects to career advice. We are blogging from the heart.